In the past couple of decades, employers have made great strides in recruiting a more diverse workforce. Surprisingly perhaps, this may mean they need to look more carefully at how they set and regulate the temperature in their offices. Why? Because whereas previously, men were often the sole occupiers of the office space, there are now younger and older people, and far more women. All these groups have differing needs, when it comes to heating and air conditioning. 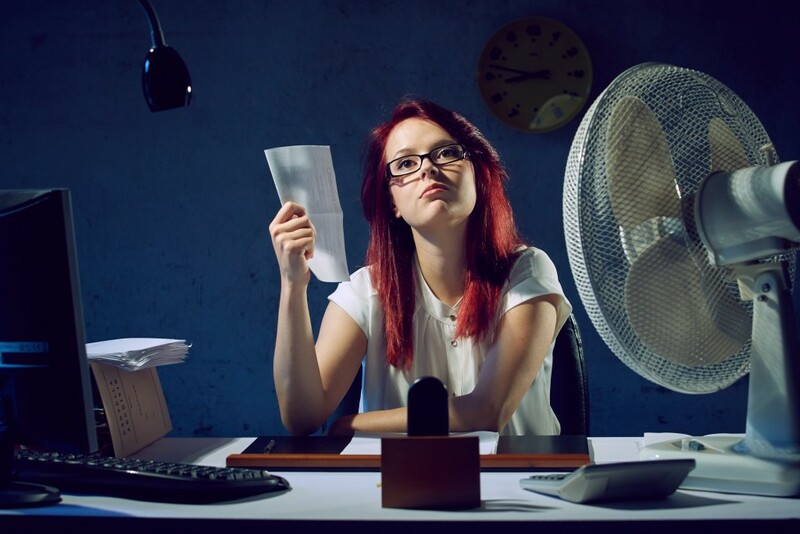 The Daily Telegraph has gone so far as to run a story saying that office air conditioning is sexist (http://www.telegraph.co.uk/women/womens-life/11780891/Air-conditioning-in-your-office-is-sexist.-True-story.html). The writer quotes a study led by Dr Boris Kingma of Maastricht University Medical Centre, which says that the building standards currently being quoted for the heat load required in a building, have historically been based on men. Women have a significantly lower metabolic rate and therefore need more heat to keep warm. This is why when men are happily working in shirt sleeves, women are piling on jumpers and cardigans and complaining that their hands are too cold. Dr. Kingma’s advice is that people stop setting ambient temperatures based on the building design, and start looking at who is actually occupying the building and what their comfortable working temperature is. This would mean that if you had a floor of a building largely occupied by women, you would want to set the temperature higher than for a floor largely occupied by men. This sounds sensible. The problem for employers comes when you have an office space with equal numbers of men and women, mingled throughout the area. How do you keep both sets of workers happy? There are further complications too, in terms of body mass – those who have a higher BMI will tend to be hotter than those with a very low one. That’s before considering the thorny problem of age. Older people – and with the rise in the pension age there are going to be many more of them at work – need warmer environments. Younger people need cooler environments, and they may also be going to the gym or for a run at lunchtime – and coming back into the office feeling very warm already. The old-fashioned way to deal with this was to put Jim next to the window with a desk fan, and give Mary an under-desk heater. Health and Safety concerns make employers reluctant to use these kinds of spot solutions, because they are hard to control and inefficient. 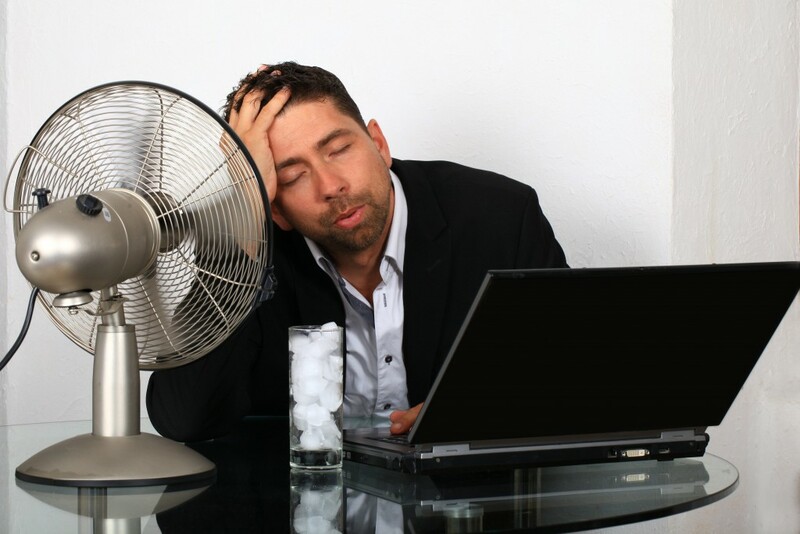 The best solution for most employers, is to get a professional team of air conditioning engineers in. They will be able to survey the climate in the office, looking at all the variables – temperature, airflow, humidity and so on. They can draw a heatmap, and look at the most efficient way of ensuring that employees with different temperature requirements can be accommodated. Today’s air conditioning systems are far more sophisticated than previously, in terms of the controls you can apply to different areas of a building. So it’s perfectly possible to design a working environment in which the men aren’t roasting and the women aren’t wearing ski jackets to keep warm.